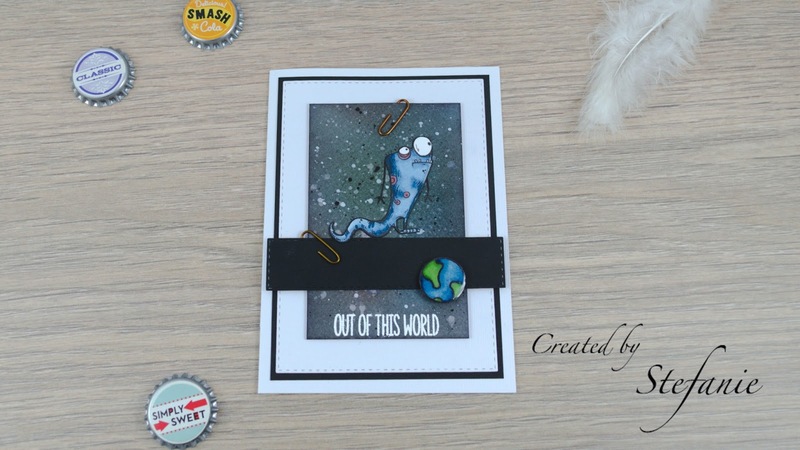 This card is done with another Katzelkraft stamp set, the alien one ("KTZ193", please Katzelkraft, start giving your stamp sets real names). 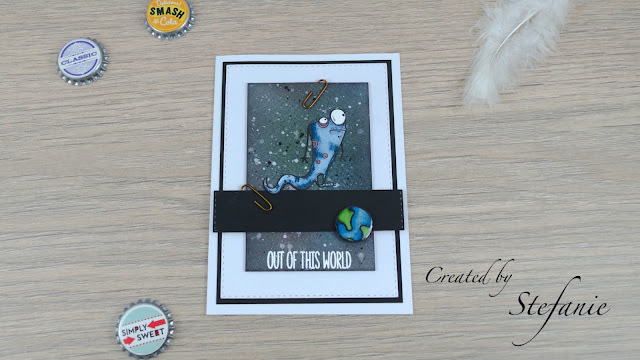 The little alien is perfect for a boys card. I made another galaxy background with my distress inks. With this alien, I enter the fantasy challenge from Stempelgarten and the stamped images challenge from Pause Dream Enjoy. Because this is another masculine no occasional card, I also enter the boys card challenge from Scrapping4Fun Challenges. Hi, deine Karte ist total Klasse geworden! Herzlichen Dank für deine Teilnahme bei der Stempelgarten-Challenge und viel Glück! 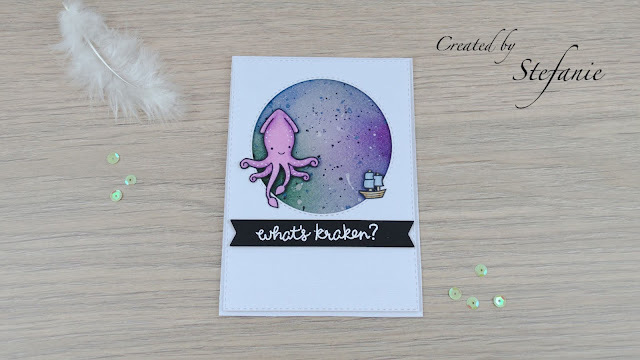 Beautiful boy card. Thanks for joini g us at Scrapping4fun. That Background is wonderful... Lovely alien too. Hi Stefanie, I just love your great Alien, how cool like the layout. Love it, it's simply great!